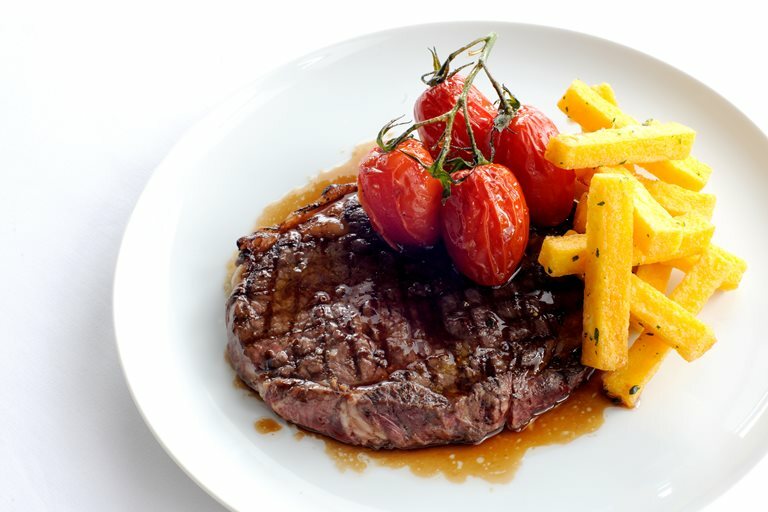 This classic rib-eye steak recipe from Robert Thompson is served with chips - of the polenta variety. The sauce requires a bit of time but it will make this rib-eye steak recipe one to remember. The roasted vine tomatoes used as a garnish by Robert are not included in the recipe, but can be achieved by slowly roasting at 100°C for an hour.